This bright jewel of a film is a cross-cultural masterpiece that touches the heart and reveals the universality of familial love and the determination of children to make do even in the direst circumstances. For the talented Iranian writer and director Majid Majidi, less is more and little things make all the difference in the world. 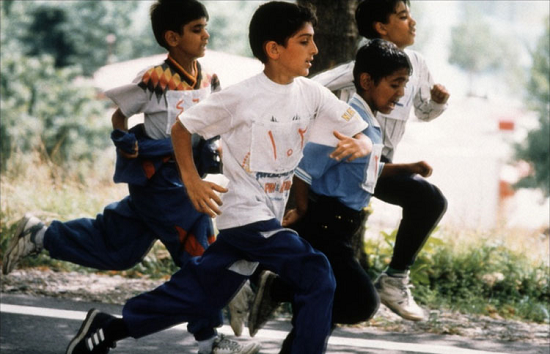 Haunting in its charm, " Children of Heaven" opens a window on both contemporary Tehran and the hopeful heart of childhood. This lovely, amusing film touches on the innocence of children with tremendous affection. One can see why this was the first Iranian title to be Oscar-nominated for Best Foreign Film. The plot is simple. Nine-year-old Ali is running errands for his mother… picking up bread from the baker, and waiting while his sister’s shoes are repaired by a shoemaker in a street side stall. 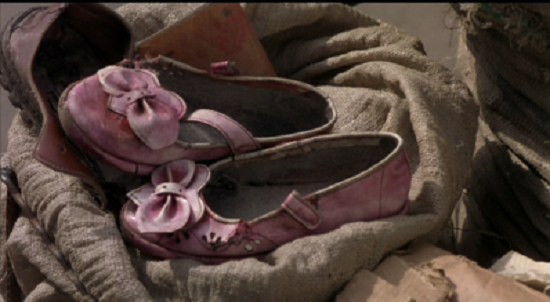 While picking up potatoes, the shoes are taken by a blind trash hauler accidentally, and that event sets off a chain of events which will affect all the characters in this film. Ali convinces his sister to keep quiet, and the two decide to share one pair of shoes with heartwarming and hilarious results. The story is presented in a great wash of the everyday. Director Majidi heightens innocence and vulnerability as he trains the camera on the kids, barely noticed in fascinating, sprawling, contemporary Tehran. As innocents, they are shining examples of humanity in an impersonal world. The film also depicts their tight- knit family. The father (Amir Naji) seeks work as a handyman, but his life really centers on the local mosque. The film makes no judgments about religion - it's just part of life in a Muslim city. The mother (Fereshteh Sarabandi) is nursing a baby, but she's disabled by a serious back condition. "Children of Heaven" provides an entrancing look at Iranian society while also presenting a heartrending story of tenderness and childlike determination. In scenes reminiscent of Vittorio De Sica's "The Bicycle Thief," Ali accompanies his father to look for work in Tehran's cloistered, wealthy suburb. The family's luck improves slightly. But the film's loveliest touch is Ali's attempt to win for his sister a new pair of shoes, third prize in a grueling running race. Ali seems to be the fastest runner in Tehran, but he must make sure that he comes in only third. It's a lot harder than he imagined - and a real test of love. In the world of children, small gestures and simple activities take on great meaning. Majid Majidi unravels these with careful attention — a perilous encounter with an angry schoolmaster, a moment of enchantment blowing bubbles, a time of panic when a sneaker falls in an active sewage drain, and the soothing comfort of cooling feet in the courtyard pond. 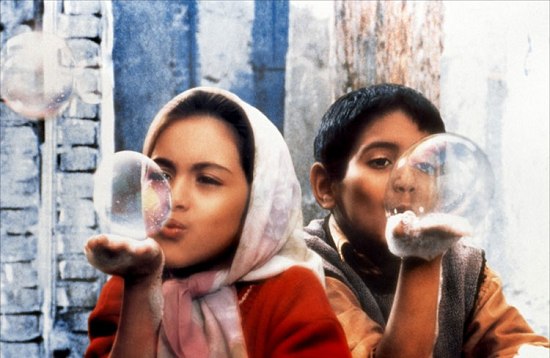 Children of Heaven is a sheer delight from start to finish. The themes and characters are universal and the story is as exciting as it is poignant. Children of Heaven is one of those magical films that breaks down perceived barriers and differences between cultures, an enlightening and entertaining cinematic journey.